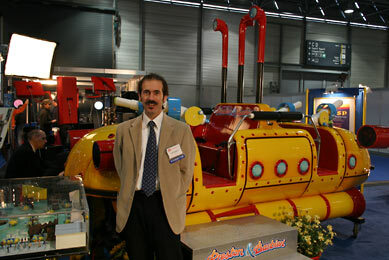 The Euro Attractions Show has become the most important European trade show for the attractions industry. Originally founded and conducted by the European Association Amusement Supplier Industry (EAASI), a federation of European manufacturers, in 2005 the International Association of Amusement Parks and Attractions (IAAPA), an association of the leisure industry with a strong focus on the US, has joined in. As a joint venture of both organizations, the show benefits from the experience of IAAPA in conducting such an event and EAASI´s knowledge of the European market. As a result of the collaboration the show was renamed from Euro Amusement Show to Euro Attractions Show. So the name alone shall indicate that the show is not only aimed at claasic amusement parks and showmen, but also at operators of zoos and other attractions. 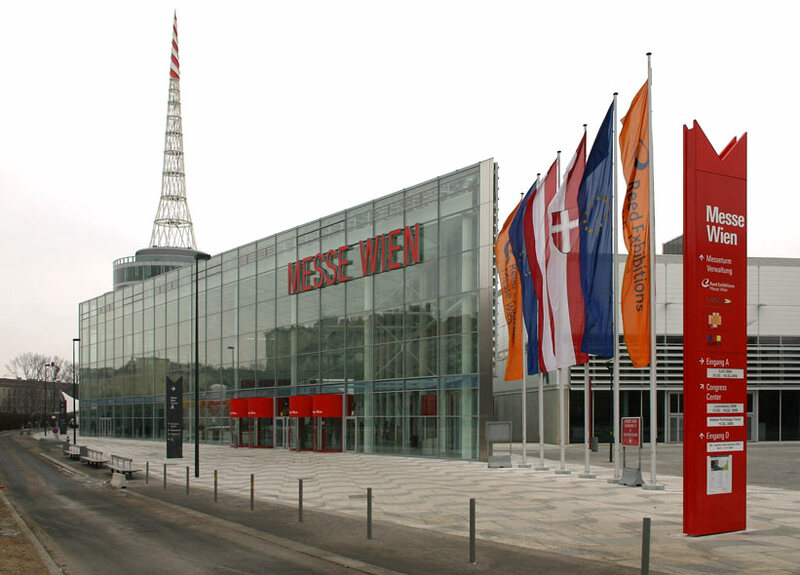 After the rather disastrous conditions in the temporary, leaky tents in Paris 2004 the Messe Wien offered a perfect infrastructure the next year, and so the capital of Austria was chosen for the 2006 show, too. 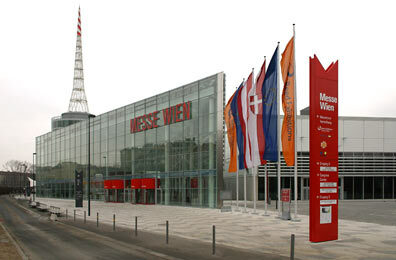 From 3rd to 5th of February 220 exhibitors, 30 less then the year before, offered their goods and services. The number of attendees, too, fell from 7200 to 4000, but almost all exhibitors were satisfied with the show. Especially a trade show like the Euro Attractions Show does not need quantity but quality, and quality was quite high according to unanimous opinion. But many companies are less satisfied with Sevilla, the host for the EAS 2007. The majority appreciates a changing venue, but the city in southern Spain seems to be too far from anywhere. The distances are too large for most exhibitors and visitors, and there are direct flights from only a hand full of cities. The date, from tuesday to thursday, is a renunciation from the well known, too, which will surely result in a further shift of the attendees towards business customers. But most likely the theme park Isla Magica close to the convention center will be open. Rumors on the show floor say that the park is supposed to receive a new major attraction for the 2007 season - even though the type of the attraction and the manufacturer are not announced yet. So the choice of Sevilla is most likely the biggest surprise of this year´s EAS, while the manufacturers see more of an evolution than a revolution. The new trend towards launch coasters started by Intamin dominates the market of "classic" roller coasters, and rides with motorbike vehicles get increasingly popular, too. In addition, attention is drawn towards new seat and restraint systems. On the following pages the new concepts and latest news from various manufactures are presented. In the last years abc engineering could establish themselves as a manuacturer of innovative attractions for kids and families aiming at small and medium parks. So it is no wonder that Tripsdrill in southern Germany near Stuttgart is one of the regular customers. 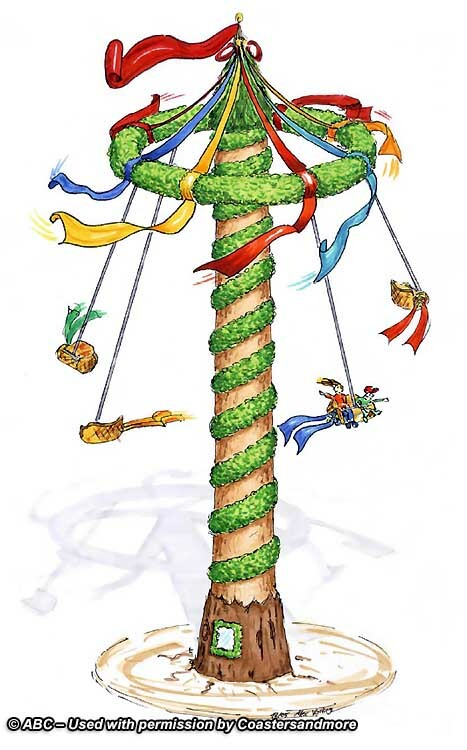 As the third abc-made attraction the park will receive the Maibaum (maypole) for the 2006 season, a 16.5 meters high tower ride that will be the signature of the new town square. Eight gondolas with two seats each hang from an annulus with steel ropes, with the passengers sitting next to each other facing outwards. After boarding, the annulus slowly ascends and starts rotating with varying speeds, thus resulting in a tumbling movement of the gondola. With a joystick the passengers can influence the height of their gondola and thus intervene with the ride. 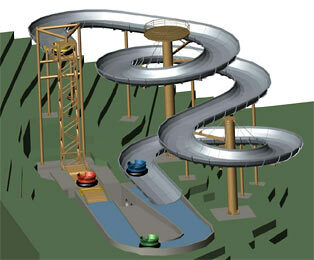 The mini flume ride Mühlbach-Fahrt in Tripsdrill will see a sister ride with identical layout at the Freizeitpark Neusiedlersee in Austria for the 2006 season. The 147 meters long channel is composed of steel troughs, thus leading to less concrete works. The boats will show a crocodile design. In addition, the park receives a 250 meters long tractor ride from abc, where the riders can influence the speed of their vehicle within defined limits. A further development of the stationary mini flume is a semi-portable version. At Kids-Dinoworld, belonging to Rastiland near Hannover, Germany, such a ride with 105 meters of channel on a footprint of 16x28 meters will open during the next weeks. Matching the theme, the boats are designed as crocodiles. The ride needs neither foundations nor a water reservoir, since the water is held in a closed circulation. An almost exact copy is supposed to open on April 1st at Adventureland, Long Island, New York, but the boats will have a sack-like theming like at Tripsdrill. With the baby flume ride a water ride is now available even for the smallest kids of nine months. Up to a certain size a baby seat is provided which is installed in the boats using a special mounting. The parents can accompany the 89 meters long ride on a path next to the channel and thus oversee their kids all the time. The ride will debut with the park opening at Legoland Germany, the boats will be designed as Lego canoes according to the park theme. The next concept with water as the dominating element is River Splash for Steinwasen Park. With a height difference of 14.3 meters the ride is slightly lower than the prototype at Erse Park. Directly behind the station the round boats for nine people are lifted vertically by a platform. At the same time the lift rotates by 180 degrees around the vertical axis. At the top the boat is released into a spiral trough where it rotates freely before it splashes into the adjacent channel. Due to the closed water circulation a water basin is not necessary. A second platform is attached to the same lift and moves down in the opposite direction than the active lift platform. 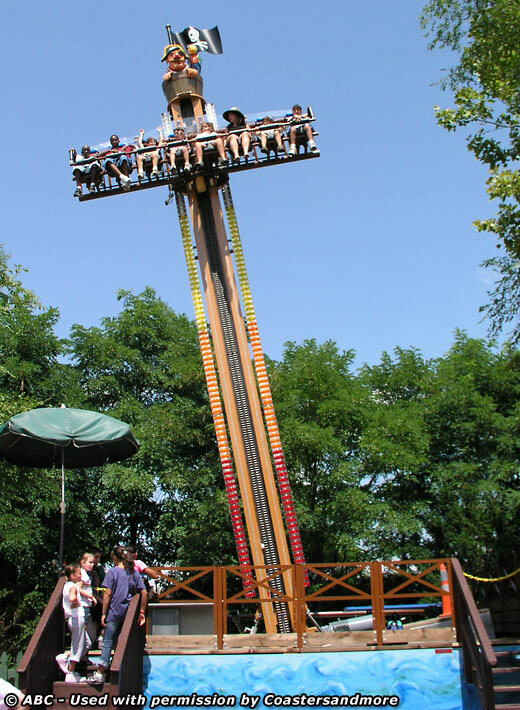 The Belantis amusement park will receive the second delivery of the John Silver Tilt Tower that is already in successful operation at Adventureland, Long Island, New York. The row with eight seats is attached to a driven rope and brought to an initial height of eight meters. The ride consists of an up and down with various stops where the gondola can be braked with varying intensity. In addition to this vertical movement, the tower sways sideways and thus creates an ocean going feeling. The opening at Belantis is planned for the end of may. 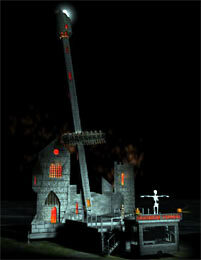 A ride based on the John Silver Tilt Tower is the Horror Tower. This is a portable version with a total height of 30 meters (as compared to 13 meters of the John Silver Tilt Tower) which can be completely stored on just one transport. Erecting the ride is supposed to take six hours with two persons without the need for a crane. 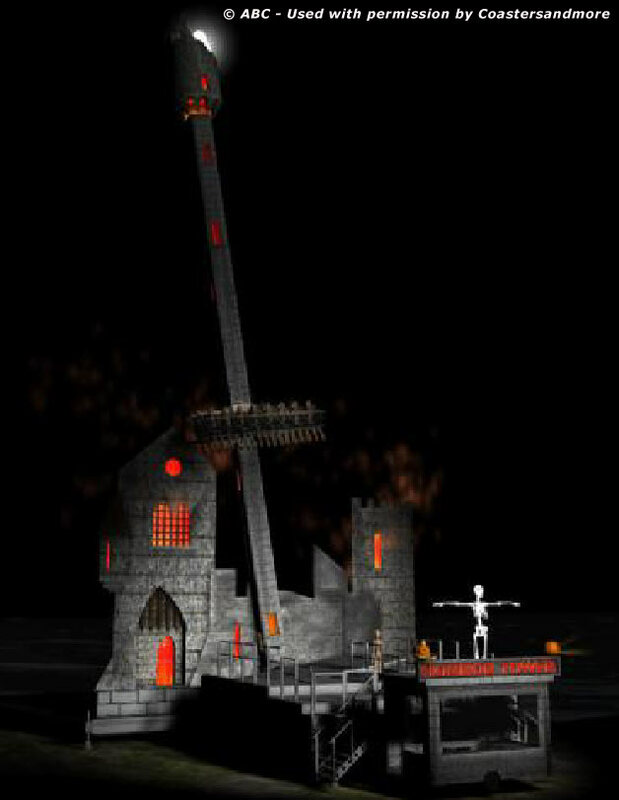 The gondola of the Horror Tower has two rows of eight seats each to increase capacity. Here, too, the gondola is attached to a driven rope leading to a similar ride. The concept sketches show the ride as a burning castle impending to collapse. But the first delivery that will go to Swiss showman Eugen Zanolla will have a different theming that is not yet revealed. 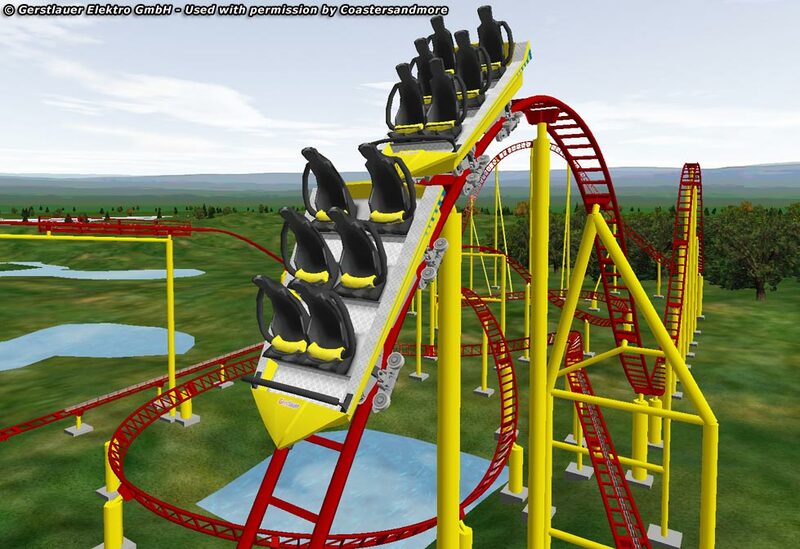 The Gerstlauer Elektro GmbH, too, has seized the launch coaster trend and developed an own concept. It is based on a new generation of high efficiency LSM modules catapulting the train from zero to 90 kilometers per hour in just three seconds. Despite the progress in LSM technology, the peak demand on electricity - depending on train weight and launch speed - is still too high to be provided by the mains supply. 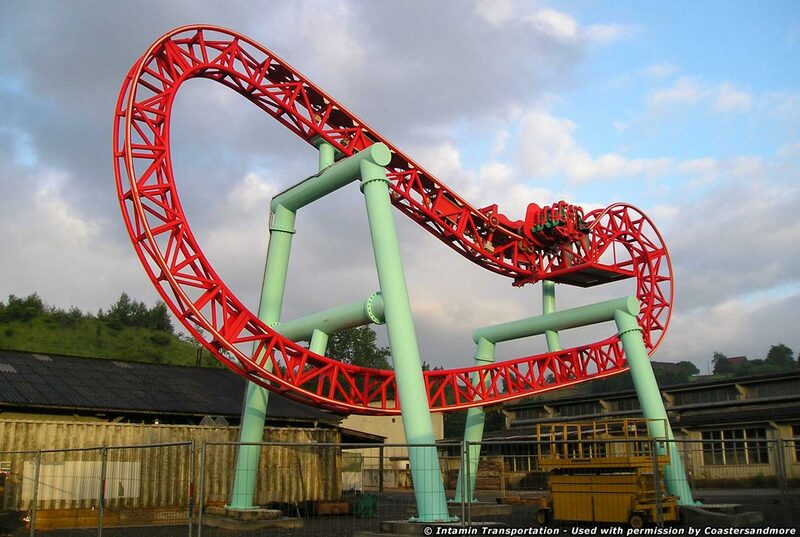 So as an optional feature Gerstlauer uses a flywheel that is continously accelerated by an electric motor. But unlike the Schwarzkopf shuttle loops the rotational energy is not transfered to a catch car in a mechanical way, but reverted into electrical energy that powers the LSM modules. This method lacks the main disadvantage of the Schwarzkopf system: The mechanical clutch was a maintenance nightmare. 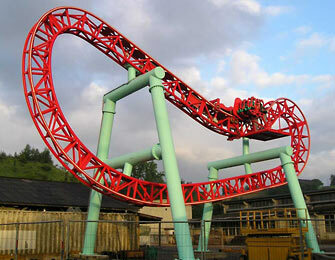 The generator used by Gerstlauer, however, is maintenance friendly and long-living. 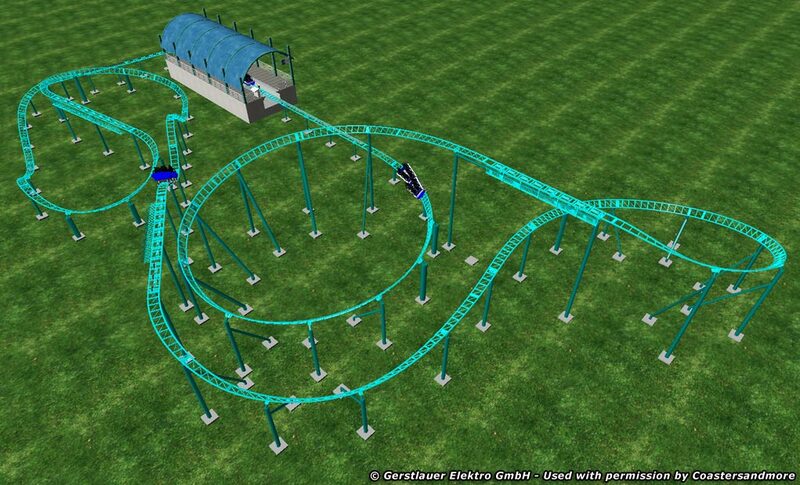 For the new propulsion system Gerstlauer has presented two launch coaster layouts. The "small" version with 485 meters of track launches the train into a big helix, followed by a combination of curves and bunny hops. The variant with 650 meters track length begins with a horseshoe and some camelbacks with the track forming a rectangle-like footprint. The first part reminds of an out-and-back design with a second twisting part within the internal area. Also developed for the launch coaster were new cars offering six seats each. Two cars can be combined to a train thus doubling capacity. This still enables compact layouts, and with a train weight of less than four tons the power demand of the LSM modules is still moderate. The three rows of each car are not just arranged in an inclined way to offer stadium seating, but also becoming wider in a V-shaped manner. 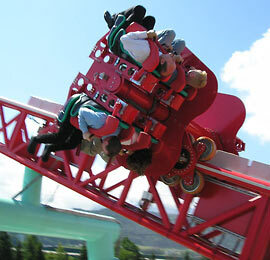 This gives a better view and some wind in the passengers´ hair - both important factors for a coaster experience. The open train design is further emphasized by the new one-armed lap bar. 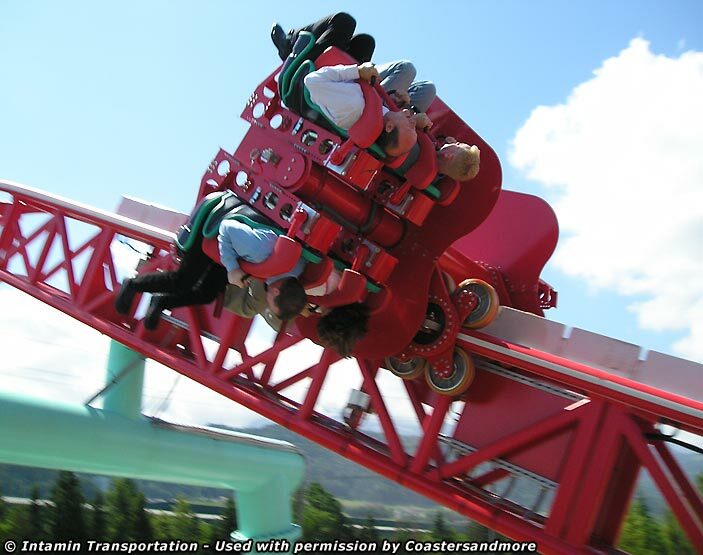 The bucket seat supporting pelvis and shoulders is provided with bumps between the riders´ legs, so intense airtime and even inversions are no problem. Unfortunately, no sale of the launch coaster can be announced yet. 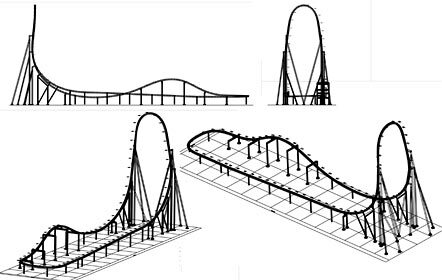 But the Eurofighter with its vertical lift and the 97 degrees steep drop has established itself: The new coaster for the Oakwood Theme Park with its 35 meters high lift is to be opened soon, and for 2007 already three rides could be sold. Two of them are park versions, while the third one will be portable. This is interesting news, since the time for new large traveling coasters seemed to be over. Die Input Projektentwicklungs GmbH gestaltet und entwickelt als hundertprozentige Tochter der Doppelmayr Seilbahnen GmbH touristische Angebote für die Bergwelt unter Verwendung der Technik der Muttergesellschaft. In letzter Zeit wurden die Aktivitäten in Richtung Freizeitparks erweitert. 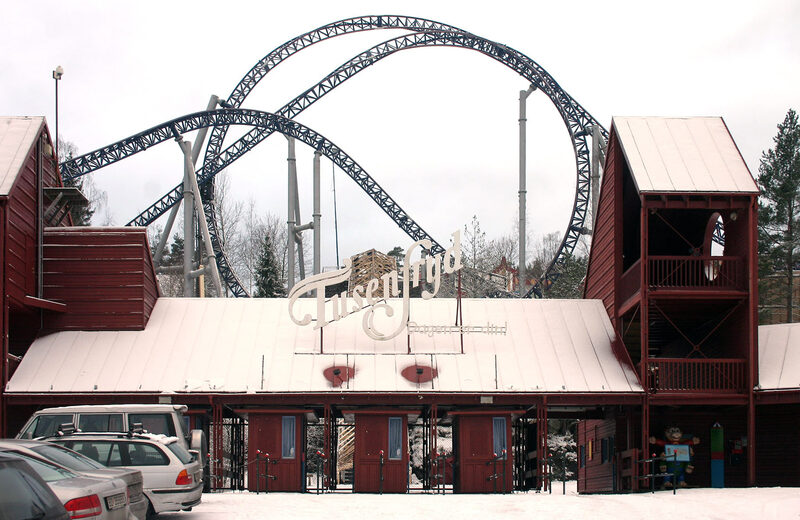 So ermöglicht seit der Saison 2005 im Fort Fun der Sky Glider Wild Eagle seinen Fahrgästen einen imposanten Flug über den Park. 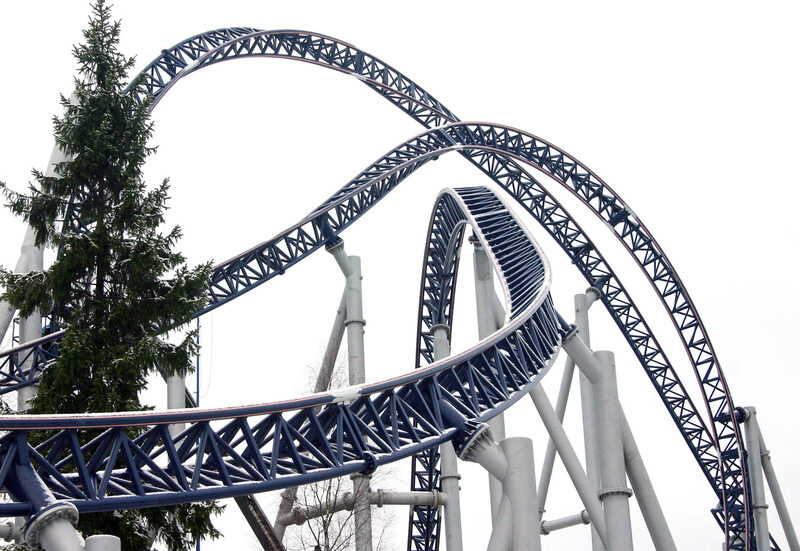 Für dieses Jahr steht die Weltpremiere des Mountain Glider in Walibi Belgium an. The Input Projektentwicklungs GmbH as a hundred percent daughter of the Doppelmayr Seilbahnen GmbH designs and develops proposals for mountain regions, using the technology of the parent company. Recently the activities towards amusement parks have been broadened. So since the 2005 season the Sky Glider Wild Eagle provides an impressive flight over the Fort Fun park in Germany. This year will see the world debut of the Mountain Glider at Walibi Belgium near Brussel. At a Mountain Glider a suspended gondola with four seats abreast is brought to the starting height by a vertical lift from where it negotiates the track hanging from a single track pipe. At Walibi Belgium the lift is 55 meters high, the track is about 700 meters long. The pipe is equipped with a leading fin for the carriage, rotating the chassis around the pipe, for example in curves. In addition, the gondola can swing sideways as well as forwards and backwards. The track pipe isn´t just rugged in itself, but also hangs from a steel rope. 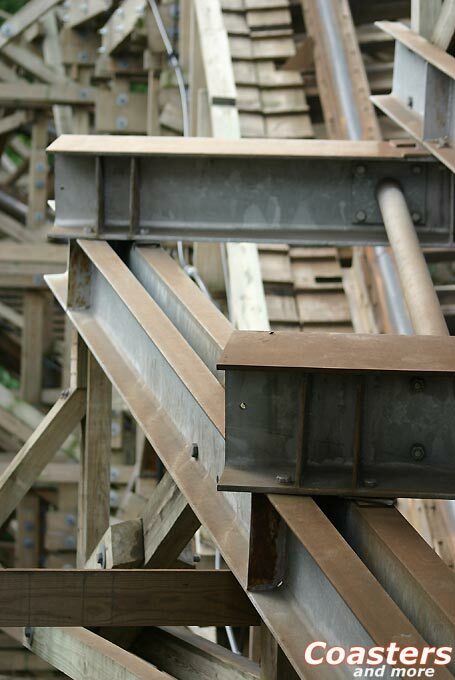 This is supposed to permit distances between the supports of up to 300 meters - at Walibi Belgium it will be up to almost 200 meters. This impressive value offers totally new possibilities for integrating the ride in a given and covered area. In addition to the leading fin there are brake fins attached to the track pipe. A trim brake limiting the speed for certain sections is based on the electromagnetic technology, while there are also additional friction brakes. The brakes are attached to the carriage, so the gondola can be stopped everywhere on the course. 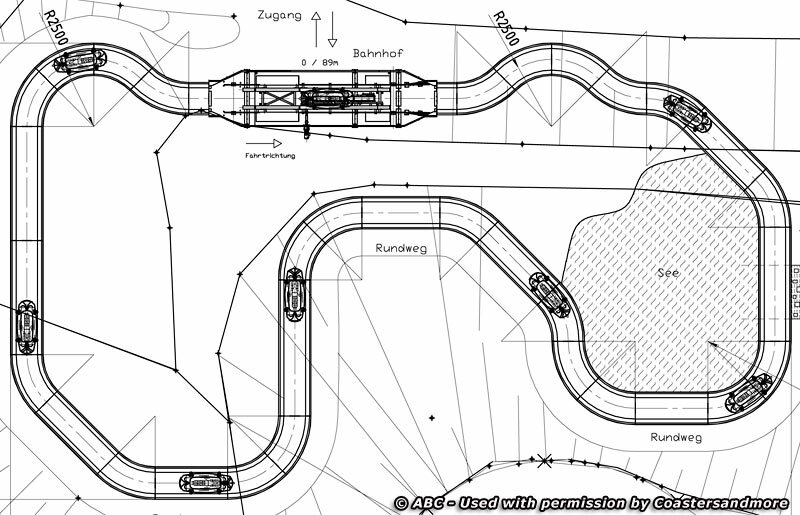 This enables the Mountain Glider to differ from the usual block system: The ride control monitors the actual positions of the vehicles - the ride in Belgium will have four gondolas - and automatically commands the car to stop if it falls below a specified safe distance. The model of the Mountain Glider on display at the EAS shows the ride above the central lake at Walibi Belgium. But since protected animals nestle there and a maximum noise level by the riders can´t be guaranteed, the ride will be built in another location but with the same track layout. 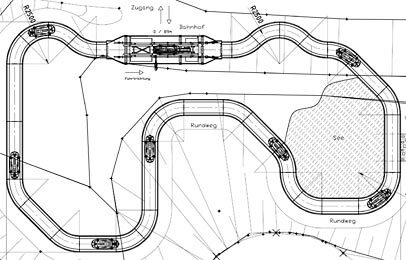 The station will be located at the former site of the Vekoma Corkscrew and the track will lead over covered and accessible areas of the park, so the whole ride had to be jacked up by two meters using higher foundations. 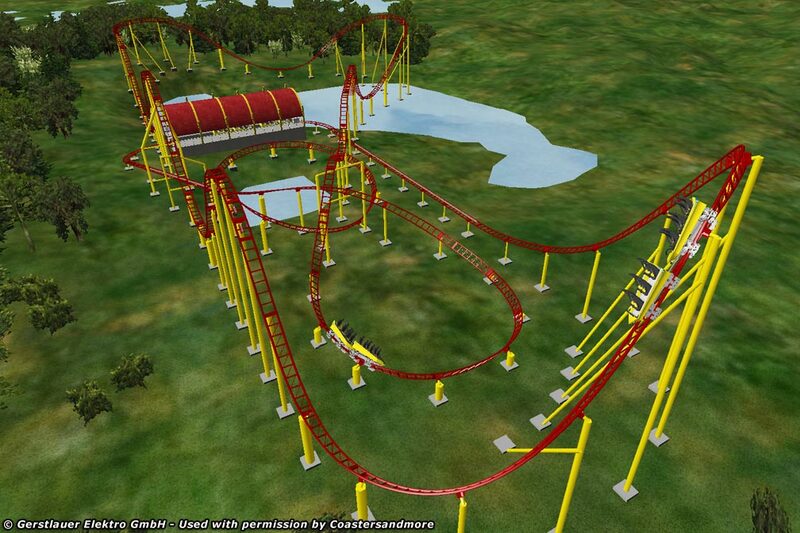 With the hydraulic launch coaster, Intamin has a very sucessful concept at hand. The catapult start offers a first kick before the ride has actually begun. In addition, there is no need for a classic lift hill, which enables record heights on the one hand and compact layouts on the other. So Intamin launchers with the most different characteristics spring up like mushrooms worldwide. 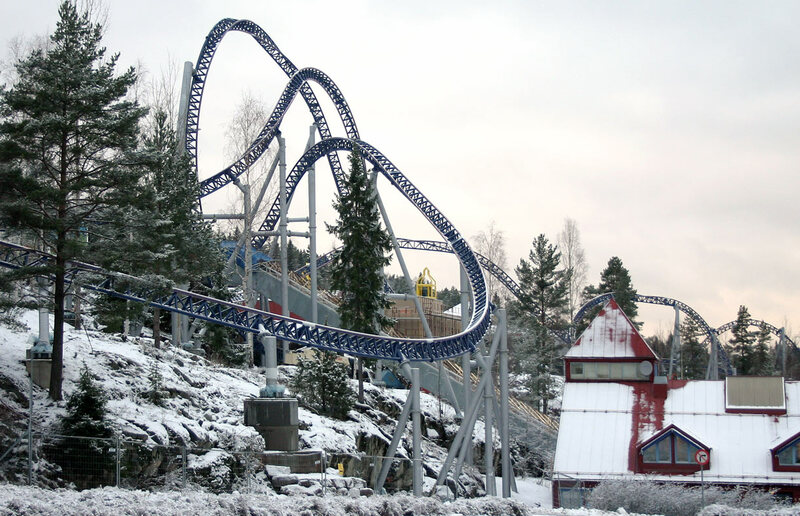 In Europe there debut two such rides in 2006: Speed Monster at Tusenfryd and Stealth at Thorpe Park - and the rumor mill is buzzing for two other installations in 2007, one with complete new trains, featuring a new ride experience dimension. So it is no wonder that other manufacturers jump on the bandwagon and offer their own launch coasters. But Intamin do not see their market leadership challenged: "With regards to roller coasters with hydraulic launch we have by far the most experience. Reliability and quality are key features of our products", says Sascha Czibulka, Sales Manager at Intamin. "In addition, our technology is covered by several patents, so our competitors have to develop their own solutions." 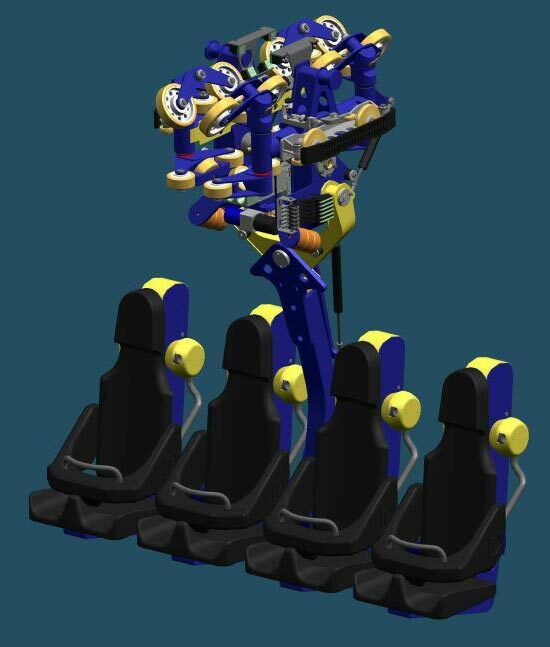 Due to the popularity of the hydraulic launch coaster the Ball Coaster concept, which was presented on Coastersandmore in the context of the EAS 2005, took something of a back seat. Many potential customers are put off by the LSM drive that is ill-reputed as expensive since it needs an infrastructure for short-time electrical peak demands. That is different with the Ball Coaster: "The Ball Coaster incorporates small and lightweight vehicles, so the LSM modules have a rather low power consumption. In addition, the cars´ momentum is built up slowly instead of a launch from zero to maximum speed", explains Sascha Czibulka. Last but not least the small footprint for the given thrill is a huge advantage of the concept. So chances look good to see the first ball coaster at a European park for 2007. 2006 seems to be a very successful year for Intamin. A giant wooden coaster is currently under construction at Six Flags Great Adventure, based on the new track system invented for Colossos at Heide Park, as well as three launch coasters. The water rides section, too, is quite active: Recently a couple of log flumes and rapids rides have been delivered to parks in Asia. 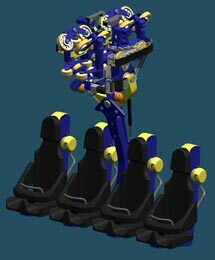 A new element is the vertical lift for rapids rides that is used at the ride for the Ravensburger Spieleland for the first time. Further raft rides will open at Legoland Billund in Denmark and an American park. Italian companies L&T and Preston & Barbieri had a shared booth at the EAS. Preston & Barbieri has shown a vehicle of the Splash Battle that has successfully debuted at Walibi World , The Netherlands last year. The interactive water ride concept has obviously found a good response from patrons as well as other parks. So there are currently four further rides being built at Legoland California, Walibi Aquitaine in France, Indiana Beach in the US and Guangzhou Chimelong Canton in China. The ride at Legoland will be the signature attraction of the new Pirate Shores area with a total of four water attractions. The design sketches promise an elaborate theming with a damaged pirate ship, a treasure island and a multitude of water effects. Unlike the other Splash Battles, the one for Legoland will have water cannons that are operated at the push of a button instead of a manual pump. The Splash Battle at Walibi Aquitaine will be the biggest investment since the park is in existence, totalling a sum of 1.85 million Euros. The comic style ride will be part of a new area. A water basin of 900 square meters will hold the 120 meters long track as well as several traps like fountains and giant water taps. The passengers have to eliminate the traps with their water cannons in order to keep dry - if this is what they want considering the temperatures in Southern France. 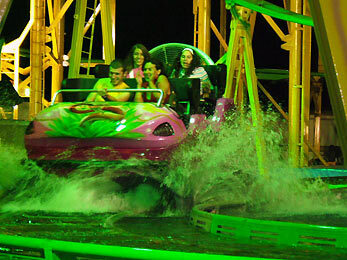 The mechanical components of the vehicles, which are powered by kicker wheels, as well as the track of the Splash Battle is manufactured by L&T. 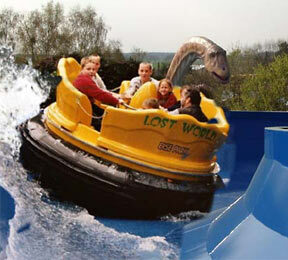 This company could make some experiences with water rides with the portable water coaster. The concept was presented at the EAS 2005, the prototype is now operated by Spanish showmen Miguel Angel Banuls Lopez and Enrique Banuls Bajo. A video presented at the booth has shown how thoroughly the design studies have been implemented - especially regarding the boats. 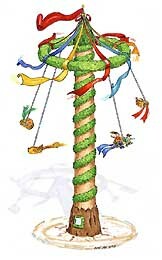 Further sales of this ride that surely is interesting for small and medium parks have not been announced.